Since the AutoTrader.com announcement to purchase VinSolutions in mid May, I have been polling dealers and industry leaders on their perspective of the acquisition. Some have said that the consolidation wave in our industry was started when ADP decided to purchase Cobalt. Some commented that this acquisition marked a new push to provide more value to dealers while other were unsure of what the future would hold. The commentary that I did not hear is that Autotrader’s buying spree may not deliver anything more significant than an attractive package to roll-up into an IPO. Could Chip Perry be more focused on creating a shiny IPO apple rather than delivering real value and integration for dealers? The jury of the automotive community is divided. If you have not been watching the financial news lately, there is a strong uptick in initial public offerings (IPO). In fact some have said that the market has IPO fever once again. With the recent IPO success of LinkedIn, I can guarantee that a wave of new filings and IPO debuts will be scheduled this year. It’s once again fashionable to be in the IPO game. The small float of shares made available in the LinkedIn IPO created a high demand which resulted in the stock trading over double it’s opening price on its first day of trading. The LinkedIn IPO, according to popular Mad Money TV host Jim Cramer, was reminiscent of stock market games that got us in trouble with the dot com bubble. While smaller IPO’s come to market, the granddaddy of IPO’s will surely be Facebook. This will surely heat up the IPO market and that means spill-over in our industry. I’ve been told stories of how past acquisitions in the automotive service sector from larger entities resulted in nothing more than a media bubble. These consolidations lost momentum once the shine was off the apple. 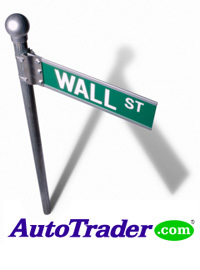 Is the Autotrader buying spree a new breed of roll-up activity? Only time will tell what the Autotrader acquisition spree of the last 12 months will yield, but I predict they are preparing for an IPO. Is this good for dealers? Let’s see how this plays out. I get the IPO logic, but, IPO or not, these roll ups are smart business. #1). The Dealer body is vast and VERY fragmented. #2). The Dealer body is not technology friendly. #4). The Dealer’s marketing message is lost in it all. #6). The Dealer needs a small army of specialists to execute the big plan. #7). The Dealer has no experience in recruiting & training these specialists (in-house). #8). The Dealer prefers a one call solution to a world they don’t understand. #5). Lastly, Leverage it all thru the largest dealer direct sales force on the planet. A strong IPO market cannot happen in a weak stock market. LNKD’s double is a symptom, not a cause. I’d like to lobby for the other side, being a publically traded company is not a negative. Take a moment and reflect on Reynolds today. Did going private IMPROVE their business? Not from my seat. Sure IPO’s can create business duds like Vonage, Webvan and eToys. But, these companies were doomed, public or not. I’ll spin this one more way. Not only are there synergies to leverage, but, there are defensive considerations too. My business instincts tell me that AT management has a close enough relationship with Google to see “the winds of change” written all over. AT’s roll-up campaign will deversify it’s model. I’m pounding the table, BIG BIG change is coming our way. You are correct that Google can take it’s Marketplace model from eCommerce goods and modify it for car leads and not sales, and the entire online classifieds marketplace gets changed forever. Google would just have to make some commitments to get into the lead generation business for car dealers, like they have for insurance. They are so close to that now, so I wonder why they haven’t pulled the trigger earlier. The same could be said for real estate advertising. I also agree that AT wants to diversify their reliance on just classified advertising solutions and get more aligned with dealers as a complete marketing and advertising solution. This will insulate them from a massive implosion in their centralized classified model. If you read the book “What Would Google Do?”, you can see a possible connection to AT’s desire to spread risk. Centralized marketing models are being torn down every day; think Blockbuster. This is all speculation on things that have yet to unfold. However, it is fun to talk about! Some of the questions I’ve had during this acquisition period is how long the innovators are contracted to stay on with their new parent companies? Traditionally this is a 2 year period. Knowing there’s an end date, does that shape their motivation to continue innovating? I’m sure they’d publicly say no right now, but that is also too far off in the future to know for sure. If I were in Matt Watson or Dale Pollack’s shoes I’d be thinking of things I’m going to do with my new wealth while also drooling over the prospect of getting my hands on an enormous pool of data. The prospect of that is HUGE! Anyone has to appreciate both of those standpoints. There is the possibility that bureaucracy will rear its ugly head to stifle the innovation, but that is only a possibility right now. We’ve witnessed these kinds of things happen before. We’ve seen it inside and outside automotive. It is rare that innovation continues as quickly as it once did once the parent company begins to pull strings. Of all the acquisitions that have happened, my gut tells me this isn’t good for the dealer when it comes to getting new “shiny objects” just based on history. However, it does provide a sense of corporate stability and that has a different kind of value for some dealers. Joe – I would argue that more and more dealers are “waking up” digitally every day. I’m talking to a lot of them and am getting more and more enthusiastic about the future of the digital space in automotive. Each of these dealers have individual needs that are tough to satisfy as one solution. Alex, I agree, more and more dealers have been “waking up” digitally, but, this digital revolution has been going on for the last decade. Selling cars is a team sport. The owners & managers are responsible for assembling the team. If the dealer has a “digital department” they are broke into 2 groups, those that sell (ISMs) and the digital workers (Digital Marketing and Digital Merchandising). The Dealer needs both players to execute the master plan. Dealers got the ISM part figured out, it’s the other player they don’t have. If the Dealer is a true progressive they wish to go in-house, they recruit a Digital Marketing and Digital Merchandising person that also knows and loves cars. This is one rare bird. Yes, each dealer has individual needs, but, the needs all revolve around the the same Digital Marketing and Digital Merchandising tasks. -What’s this Pay Per Click stuff? -How come my store doesn’t show for a used car dealer in my area? -How do I get vehicle comments, do I need them? -Can the vehicle comments mention my 3 day sale? -How do I know if my cars are on all the sites? -Why does my competitor show up with my name on Google? -The manuf’er just changed it’s incentives! Each and every one of these requests require a unique digital specialist to execute it. It’s impossible for a dealer to recruit and co-ordinate one specialist for Data base mining another for PPC, another for Local SEO, another for Social Media another for VDP merchandising and so on. IMO, It’s far easier for a digital specialist vendor to staff and provide these services than it is for a dealer to do it in house. Each and every year the Dealer Body gets a lil’ more “into it” and moves itself up the ladder. If you were to put a grade on how accomplished dealers are (kindergarten thru masters degree), the entire Dealer Body of 20,000 rooftops is about at 6th grade. I carry a BlockBuster card in my wallet as a reminder of how blind we humans can be AND how changes in the marketplace can completely decimate ANY Goliath it wishes. Change is a part of life and preparing for change is embraced by experienced leaders. For example, BlockBuster, Kodak, Xerox and IBM all we’re challenged with new threats. IBM has re-invented itself so many times it’s part of it’s daily operations. Kodak and Xerox slowly tossed it’s legacy business and re-invented itself just before it’s last breath. AT’s Chip Perry is doing what smart CEOs do. Love, cherish and support their core business, but re-invest that wealth and Diversify (aka buy insurance). For the record I’m not against IPO’s nor have any prejudice on this deal. I love to watch businesses reinvent themselves through brilliant leadership and vision. I think that AT had to morph into something different and the jury is out on what this individual pieces will add up to. I get what you’re saying. Big bulky corporates can’t be as nimble as a dealer based solution. There it is all wrapped up in a bow. Local SEO dominance on one actionable page. And it’s fresh too (June 3rd 2011)!! Who does the dealer hand that off to? An intern? 2 weeks pass… Woops! Wait a minute, the intern says that Google Paces and the dealer website are tightly integrated and 4 of the TOP10 Local ranking factors are website related. Time to get the another specialist involved. Published by SEObook.com, it’s authority is beyond question and it details every step nicely. Who does the dealer hand that off to? Let’s say the Dealer finds the right person to pull this off. Was it done right? Does the Dealer have the knowledge and time to police and score their new person’s results? After all that time invested, what if the Dealer’s new “Ms Digital SmartyPants” walks out? Dealers don’t own the hours invested, nor the mistakes learned from. Now they have to start it all over again? The vast majority of the web traffic that goes to AutoTrader.com and KBB.com are due to their brand power and marketing efforts. The consumers go directly to their website and skip google. They are household names. The traffic on their sites continue to grow every year. Could a shopper potentially go to Google to find vehicles in the future? Perhaps… but will the user experience be as good as AutoTrader? I doubt it. A website 100% tailored to the automotive shopper with ratings, reviews, etc will always be the best site. Maybe I’m wrong…. but if I look at google’s keyword traffic tool for what would seem like a common phrase like “dallas honda accord” the traffic estimate is so low it doesn’t register… long tail and vehicle make model searches don’t seem to currently exist. “Dallas honda dealer” does show traffic. So people seem to use google to find dealerships and not cars. To this day I speak to Checkered Flag a lot. That’s my family; I cannot turn my back on them. With that said my leaving has done a lot for them. In fact, I would go so far to say that my leaving has helped them to grow more than anything I could have ever done being there. This is simply because I was not there to do everything. They had to learn how to do it themselves. I’m watching all sorts of things happen today that I only dreamed of while I was there. I’m really liking what I’m seeing! Your question made me think long and hard about all this over the weekend and I think people like you, Jeff, and me really help to set the stage. I think we do a lot and bring a lot, but we could possibly be impeding our dealership’s potential in the long term. Once we get them used to a certain level of performance, maybe it is best to get out of the way. This way they have to learn it themselves. I don’t know. Maybe Checkered Flag and Alex Snyder is an anomaly. Maybe Checkered Flag and Christine Knowles is another anomaly. Maybe Checkered Flag is the anomaly. Your statement got me thinking and I have still not arrived at a final hypothesis. This is exactly why Founders of companies RARELY evolve into CEOs. Alex, Joe and DealerRefresh community, the AT buying spree was once simply a jockeying for position related to a gigantic forthcoming IPO – at least from all I was privvy to. 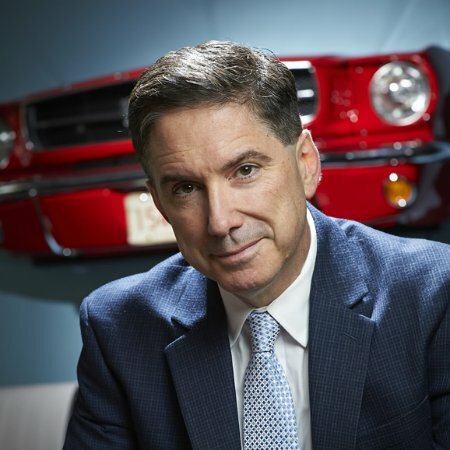 However, late in May, Peter Brown of Automotive News moderated a webinar that indicated to me the absolute value of what AT is doing, and it revolves around two other tangible values; 1) Content 2) Data. All the while knowing VIN was going to be acquired, I thought an industry outsider would make their play with them. Cliff Banks and I discussed this at DD10, and his viewpoint was that the same huge auto internet players would be the most likely acquirers. How right he was! About the IPO, Atlanta has become a centerpoint for Auto Retail Future as a result of AT being so large – and under the tutelage of an even larger communications conglomerate in Cox. The buzz about how AT would have a ‘Billion Dollar IPO’ has been around for a long minute. After putting together the pieces of what I learned from IBM leadership on its ‘Smarter Mobility’ project, and developing a more dynamic perspective of what exactly is going on at AT, I know now that the value of these acquisitions is not a speculative event. At Cox, the strong relationship with Cox has been nurtured to include the AT division, and thereby, I see an impending partnership (if it hasn’t happened, already). That would be, “At Cox, the strong relationship with IBM…”, my apologies for the typo.